Miracle Method, established in 1979, is the nation’s leader of refinishing for bathtubs, kitchen countertops, and ceramic tile. 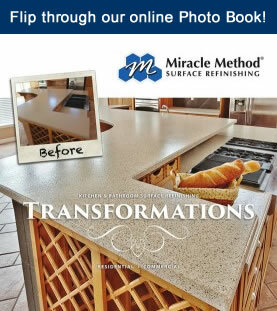 A home services franchise, with 125 locations across the country, Miracle Method encourages refinishing rather than replacement because it costs consumers less, it can extend the life of bathtubs, tiles, and countertops an additional 15 years or more, and it is more environmentally friendly than simply disposing of it. 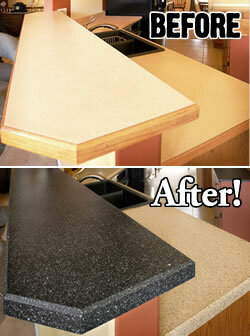 Refinishing makes old - NEW again! With our development of an exclusive bonding agent called MM-4 that eliminated the necessary use of hydrofluoric acid, we were able to corner the market on a refinishing process that was in all essence a “miracle”. 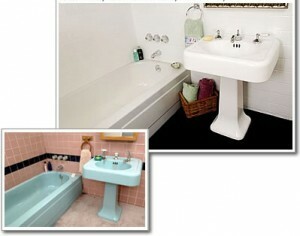 Thirty years later our product has stood the test of time and has set our business apart from others in the industry. Whether you are looking to get a bathtub, kitchen countertop, ceramic tile, or another piece of your home refinished without spending a lot of money, or you are looking for a low-risk business opportunity with great sales potential and tremendous corporate support, we are sure you will find that Miracle Method is the right choice for you.